Set of 4 parts (Part 1 in C, Part 2 Viola, Part 3 Cello or Bassoon plus Keyboard/Guitar Part.) An incredible collection of 35 arrangements for strings, woodwinds and piano - these mix and match trios allow the performer to pick the instrumentation. 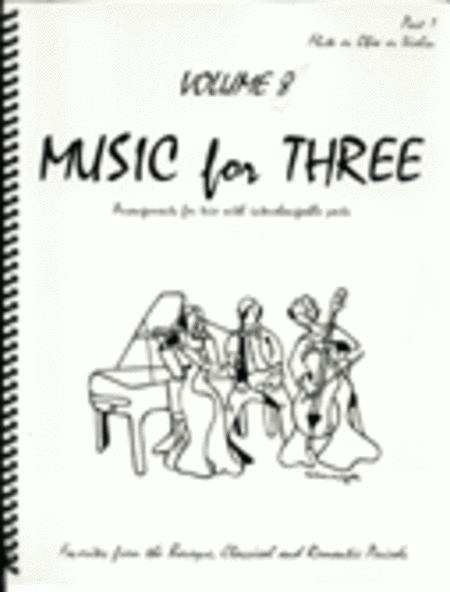 A versatile must-have for any musician, Music for Three is perfect for weddings, recitals, concerts, and any chamber music gatherings. Including works by Bizet, Faure, Borodin, Gottschalk, and Rossini and more!